Replacement Cost vs. Reproduction Cost: What’s the difference? Even seasoned appraisers can sometimes confuse the terms “Replacement Cost” and “Reproduction Cost”. What do these terms mean and why do they matter? 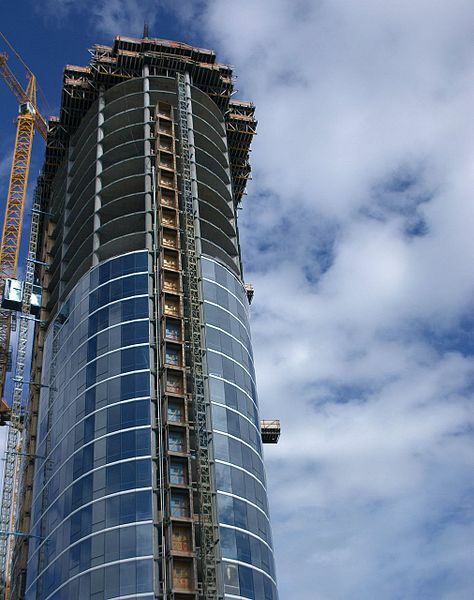 The estimated cost to construct, at current prices as of the effective appraisal date, a substitute for the building being appraised, using modern materials and current standards, design, and layout. The estimated cost to construct, at current prices as of the effective date of the appraisal, an exact duplicate or replica of the building being appraised, using the same materials, construction standards, design, layout, and quality of workmanship and embodying all the deficiencies, superadequacies, and obsolescence of the subject building. The key difference is the type of improvement being considered. Are we looking at a new building with modern materials, or an exact replica? The main idea is to use one or the other consistently throughout the analysis. 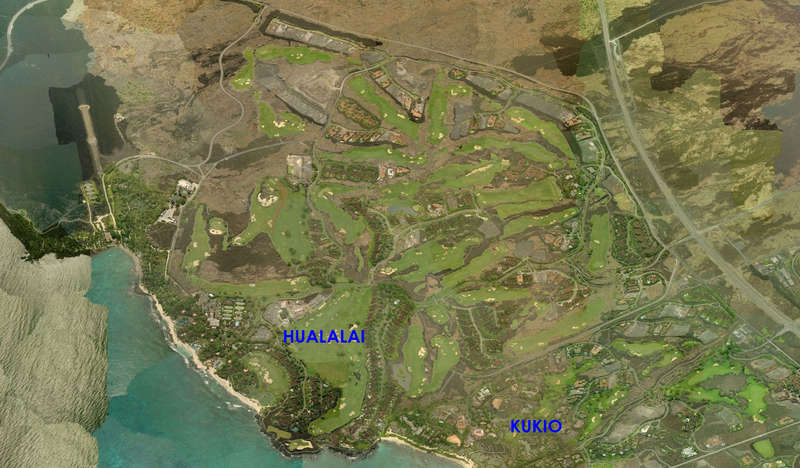 The Hualalai Resort is a 625-acre membership community that includes a world class hotel, the renowned Four Seasons Resort Hualālai at Historic Ka‘upulehu, and two golf courses: the Hualālai Golf Course, designed by Jack Nicklaus, and the Ke‘olu Course, designed by Tom Weiskopf. In addition, the project district is entitled for eventual development of up to 700 residential units, and has been selling single family homesites and luxury low-rise condominium units since 1996. 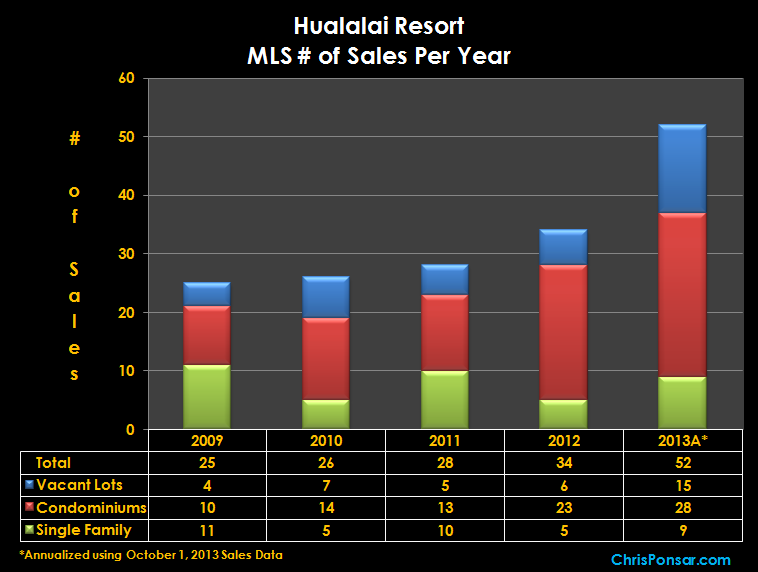 This graph tracks the number of single family, condominium, and vacant lot sales at Hualalai Resort since the onset of the worldwide financial crisis in late 2008 . As shown, absorption in the early part of the recovery period 2009-2011 was relatively stable, with a total of 25 to 28 sales per year. 2012 saw a meaningful bump up to 34 sales, and as of October 1, 2013, the 2013 calendar year is on pace for more than 50 sales in the prestigious community–nearly one a week. Wealthy Chinese buyers have an “insatiable appetite” for Hawaii real estate, and there is a group that is looking to purchase larger projects and is even in discussions with local developers, a Canadian entrepreneur and co-founder of a New York and Shanghai-based company that offers lifestyle and travel opportunities to its private network of high net worth and emerging wealth Chinese members said Wednesday.Derek Muhs, co-founder of Affinity China and the keynote speaker at the “China Ready Real Estate Investment” seminar held at the Ala Moana Hotel, told a group of real estate industry stakeholders and others, about what the Chinese are buying in Hawaii, why they are buying it and how to connect with Chinese consumers. Chinese real estate investors are expected to spend more than $175 billion during the next few years acquiring residential and commercial properties around the world and Hawaii is on the list of desired investment places, according to Affinity China. The Chinese are buying single-family homes in high-end areas ranging in price from $500,000 to $1.5 million, and 70 percent of them pay cash, Muhs said. He also pointed out that Chinese buyers like new, or newer, projects and look for infrastructure, such as shops and other amenities. The Chinese also like it when businesses adapt to them. For example, Muhs said, one of his clients bought in San Francisco instead of Hawaii because, besides pointing out that properties are dated, the city by the bay seemed to have more restaurants with menus in Chinese. Muhs noted that the Chinese are buying in Hawaii because it’s a good investment for them. 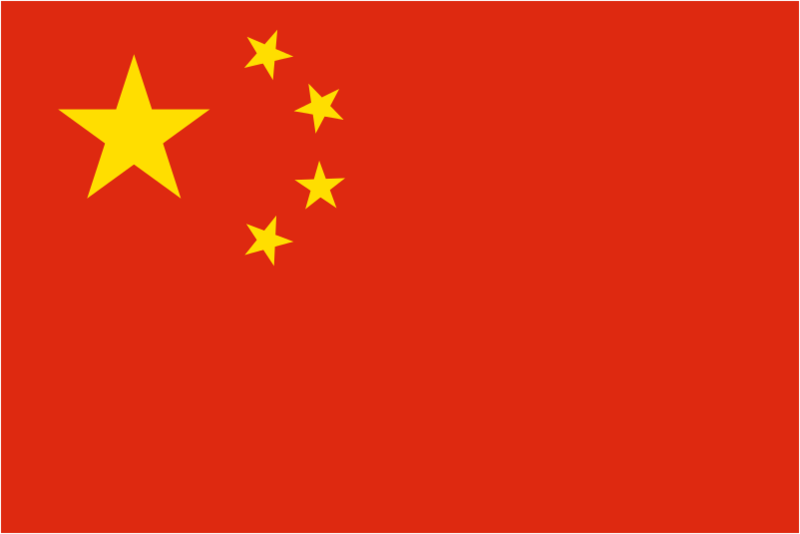 Trust is one of the bigger challenges when trying to connect with Chinese consumers and Muhs said that many people in China struggle with this challenge. For instance, they’ll often trust a family member or friend, rather than a professional.